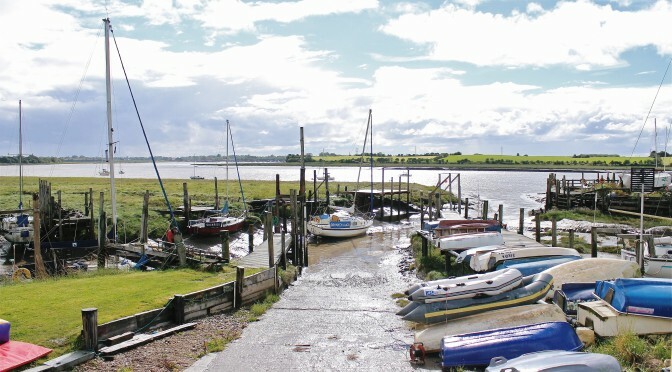 The Club’s premises are alongside Wardleys Creek which runs into the River Wyre in the village of Hambleton. Mud berths have been carved into the side of the creek, and there are also a number of jetties which are maintained by the boat owners. There are also drying moorings just off the creek on the Eastern side of the Wyre. A waiting list system is used to allocate berths, and it may be some time before a member can obtain use of a mud berth or jetty. Accommodation ashore includes a large clubhouse with lounge seating area and views over the river from an enclosed balcony. This has facilities for cooking, as well as toilets and showers. There is a shed/workshop, with a selection of tools as well as secure lock-up facilities for outboards etc.. Power and water are available at key points on the site for the convenience of members. Facilities in the village of Hambleton include ‘The Shovells’ public house, various take-away food establishments, a variety of shops and two garages. Most of these can be reached on foot from the club in less than 10 minutes. The Club has around a hundred members, mainly from the local area but also from further afield, including the Manchester area and parts of Yorkshire. Members cruise on Morecambe Bay, the Irish Sea and well beyond. A number choose to keep their boats in Fleetwood Marina during the summer season. The committee welcomes applications from prospective members; there are usually members around during daylight hours, either in the Clubhouse or working on their boats, so come along to see the facilities on offer. We’re a friendly bunch!